Maybe you’re searching for a treasure to call your own. Well, you could very well find it in Bartow at a quaint downtown shop. If you’re looking for a one-of-a-kind bargain, you might just find it at a downtown Antique Fair or Yard Sale presented by Bartow’s Main Street organization. 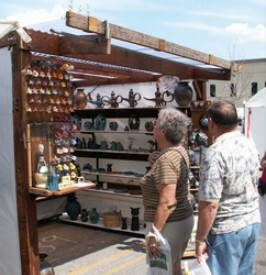 Bartow’s Antique Fair is usually held the second Saturday of every month. 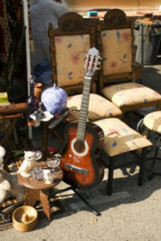 The Community Yard Sale is usually held on the third Saturday of each month. If you’re in the market for something fresh, check out the weekly downtown Farmers’ Market held on Wednesdays from 10:00 a.m. to 2:00 p.m. at Fort Blount Park. At the Farmers’ Market you may buy a large variety of cheeses, vegetables, turkey legs, sandwiches, honey, plants – you name it! 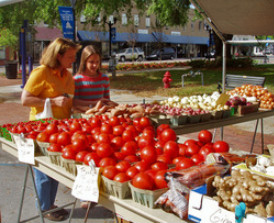 In addition to unique shops, Bartow offers a variety of well-known stores. Retail centers include supermarkets, pharmacies, specialty stores, and home improvement centers. For more information on Bartow’s many places to shop, browse through the Greater Bartow Chamber of Commerce Directory.